About HAION | HAION Caster Industrial Co., Ltd ,The leading manufacturer for Medical caster and wheel, Scaffolding caster, and Industrial caster. HAION Caster Industrial Co., Ltd. established in Taiwan since 1980, is the leading caster manufacturer for Medical caster, Scaffolding caster, and Industrial caster. 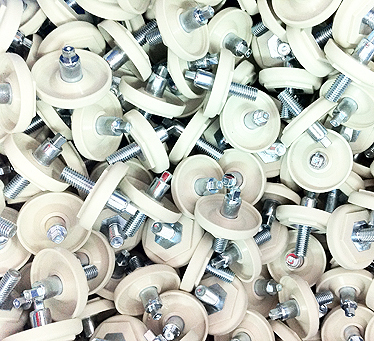 As the leading manufacturer of castors and wheels. Committed to providing high quality, innovative products for the medical equipment industry, we have established an excellent reputation with customers throughout the world. HAION manufactures an extensive range of high quality castors and related products. Our professional sales team and worldwide distributors will happily assist you in finding the optimum product for your requirements and budget. With more than 3 decades’ experience in the field, HAION is the ideal manufacturing partner. We believe that the secret to excellent service lies in truly getting to know customers, establishing mutual trust and creating strong, long-term partnerships. Driven by this ideal, we are dedicated to providing each of our customers with the best possible castor solutions. When you need professional castor solutions, you can rely on HAION, the first choice for leading manufacturers. We look forward to providing you with our high quality products and exceptional service. Smooth your way with HAION. With extremely high quality standards, HAION implements strict controls at every stage of the production process. 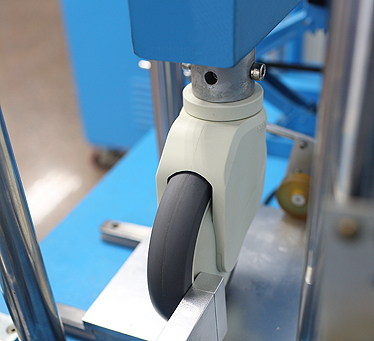 From the screening of plastic raw materials to final injection molding, metal raw material selection, punching and riveting, through to final assembly, we ensure that all of the castors our customers receive are perfect in every way – smooth rolling, durable, and beautifully formed. Our talented, highly experienced design team continues to enhance and improve our existing range of casters and is equally adept at creating new, innovative designs to fit special medical equipment products. With extensive knowledge of the latest industry trends and developments, our mission is to anticipate your requirements and provide the solutions you need. Our professional, dedicated sales and R&D teams are ready to meet your needs with top quality caster products and prompt, efficient service, making HAION your optimum choice as partner.